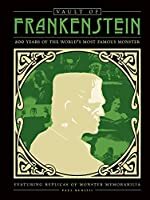 Celebrating 200 Years of "Frankenstein"
200 years ago Mary Shelley created what would become a literary classic and an icon of Halloween: Frankenstein. Shelley's masterpiece is perhaps even more impressive given her young age and the negligible opportunities available to women in her time. Shelley was a ground-breaker of epic proportion, and lived an incredibly interesting life both before and after she made her monster. The original on steroids. Klinger takes Shelley's original 1818 text and adds 200 illustrations and nearly 1,000 annotations. Klinger examines the story from many angles, including the revisions Shelley made in the 1823 and 1831 editions. An excellent edition for new readers or fans. The life of Mary Shelley reads like a novel. She ran away with poet Percy Jackson at age 16, and two years later wrote the story that would make her famous. Success and tragedy entered her life and Reef's book is a fascinating portrait of a trail blazing young woman. A picture book account of Lord Byron's famous challenge to write the best ghost story, and the late night inspiration that resulted in Mary Shelley's tale of science gone too far, and prejudice that turns innocence to anger. A great introduction to the classic for a young audience. 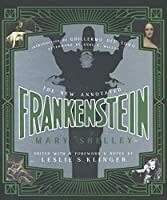 Written for a slightly older children's audience, Bailey recounts Mary Shelley's early life, her drive to learn, her deep desire to become an author, and later the writing and publication of Frankenstein. An inspirational look at a young women who defied her circumstances and become a legend. Written in free verse and accompanied by over 300 pages of illustrations. 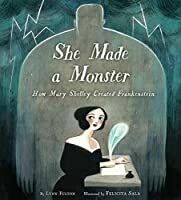 The verse style works remarkably well for telling the story behind Mary Shelley's dark monster and the black and white watercolor images add the perfect slightly creepy touch. Bestselling author Kiersten White has crafted her own chilling tribute to Mary Shelley's classic. In White's version a young woman named Elizabeth is taken in by the Frankenstein family and her life becomes inextricably tied to that of Victor Frankenstein. Elizabeth goes to great lengths to try to save Victor from his own dark creative impulses, and the story is both haunting and clever. A colorful retrospective that examines the evolution of Shelley's literary character into a pop culture icon brought to stage, screen, and all manner of merchandise.